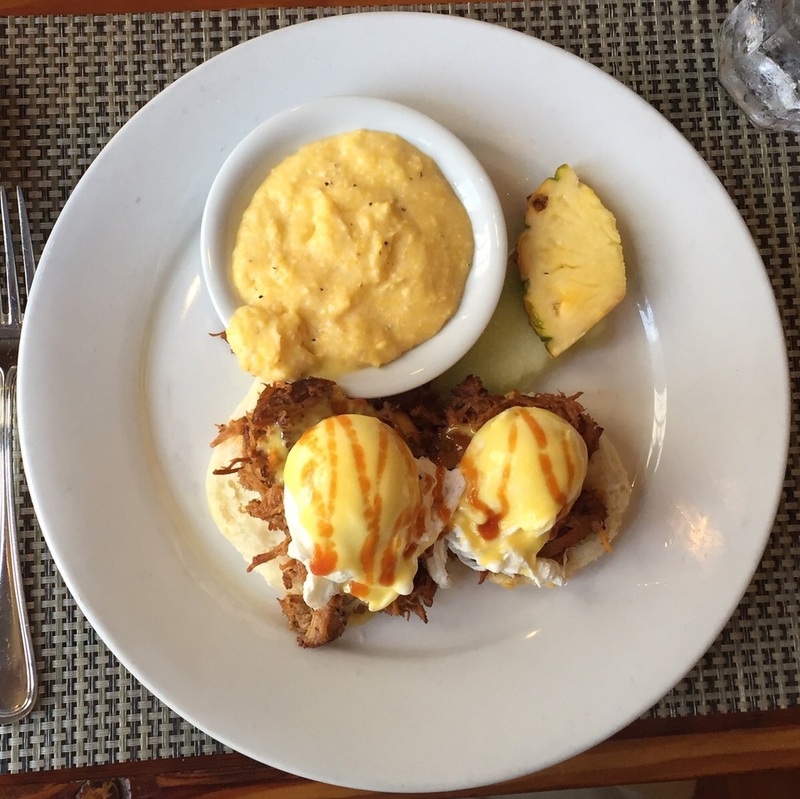 The first couple days of our honeymoon were spent in Charleston, South Carolina, where we got to experience some excellent cuisine, southern hospitality, and humid weather. After rolling into Charleston around 1:00 AM, we were grateful for a comfortable bed and cool room at the Governor's House Inn, a bed and breakfast located in the historic downtown area. The Governor's House Inn was one of my favorite parts of our honeymoon. The historic home was built in 1760 and is a true testament to the grandeur of the era. Each room was beautiful and stately. The breakfast each morning was delicious and kept us full well into the afternoon, even after a day of walking among Charleston's unique alleys and seeing it's beautiful architecture. One of the highlights of our time in Charleston was the unique Rainbow Row, featuring homes painted in beautiful pastels. As a souvenir from our trip, we picked out a painting from a local artist, capturing the beauty of this stretch of homes. We found that one of the best ways to see the city is on one of the many carriage rides. This is a great way to get off your feet for a bit, learn about this city from a tour guide, and really travel about in the same way people would have if it were the 1700s. Our tour was through the Palmetto Carriage Company and our tour guide did a wonderful job pointing out unique facts about the city as we slowly made our way through on the carriage. To wind down the first full day of the honeymoon, we indulged in a decadent dinner at the Charleston Grill. After starting off the meal with the most delicious crab cake either of us had ever had, we enjoyed the live music before our meals of branzino and guinea hen. We ended the meal with a complimentary taste of dessert wine with a sampling of their desserts. As a nightcap to our final evening in Charleston, we sought out The Gin Joint, a small bar with a plethora of drink options. What set this bar apart from your average bar, was that we had the option to choose two adjectives and then the bartender creates a drink for you. Cody chose "refreshing" and "unusual" and Sarah went with "sweet" and "fizzy." Both drinks turned out to be top notch. Even if we had not been satisfied with our drinks, we could have sent them back for another attempt, free of charge. We found ourselves back in Charleston for a few hours at the end of our trip for a final lunch before our flight home. We ate at Poogan's Porch, enjoying a yummy brunch of pulled pork eggs Benedict and cinnamon French toast topped with pecans and strawberries. The restaurant was in an old house that had been converted. It was a filling last southern meal to send us back to Chicago. Overall, Charleston provided lots of history, relaxation, and hospitality. If you find yourself in the south, definitely put this city on your list of stops!